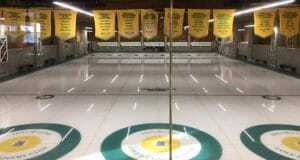 The 2017 World Mixed Doubles and World Senior (50 and over) Curling Championships will be staged at the new Crossings Ice Complex in the southern Alberta city, April 22 to 29. It will be the second time Canada has hosted the combined World Mixed Doubles and World Seniors events; Fredericton, N.B., did it in 2013. Lethbridge, meanwhile, played host to the 2012 Ford World Women’s Curling Championship, in addition to hosting the Scotties Tournament of Hearts in 2007 and 1987. 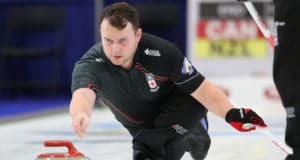 It will be the final chance for countries to clinch a berth in the inaugural Olympic mixed doubles curling competition. The discipline will make its debut as an Olympic medal sport at the 2018 Winter Games in PyeongChang, South Korea, with the host country guaranteed one of the eight available berths. “The World Curling Federation is delighted to award these joint Championships to Lethbridge in Canada,” said Kate Caithness, President of the World Curling Federation. “The opportunity to bring both championships under one roof, to allow for supporters and athletes to enjoy all the curling that’s on offer, was a significant factor in this award, and the WCF looks forward to working with the local organizing committee to ensure that these events are a great success. 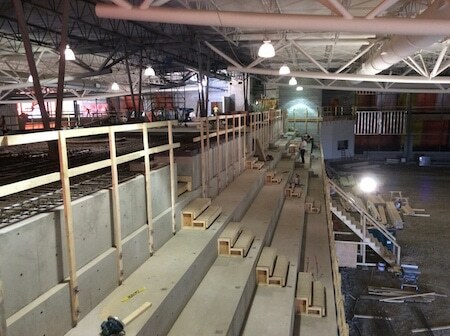 The interior of the arena of the under-construction Crossings Ice Complex in Lethbridge. It will be the 10th edition of the World Mixed Doubles Championship. Since the event’s inception in 2008 in Vierumäki, Finland, Swiss teams have won a leading five gold medals, followed by Hungary with two and Russia with one. Canada’s lone medal was bronze in 2009 at Cortina d’Ampezzo, won by Winnipeg’s Sean Grassie and Alli Flaxey. 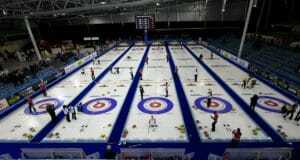 The World Senior Championships, meanwhile, debuted in 2002, and before they were combined with the World Mixed Doubles, Canada hosted the World Seniors in 2003 at Winnipeg and 2007 at Edmonton. Canada has been dominant at the 50-and-over level over the 14-year history of the event, winning the women’s gold 10 times and the men’s gold nine times. The 2016 World Mixed Doubles and World Seniors are scheduled for April 16-23 in Karlstad, Sweden. 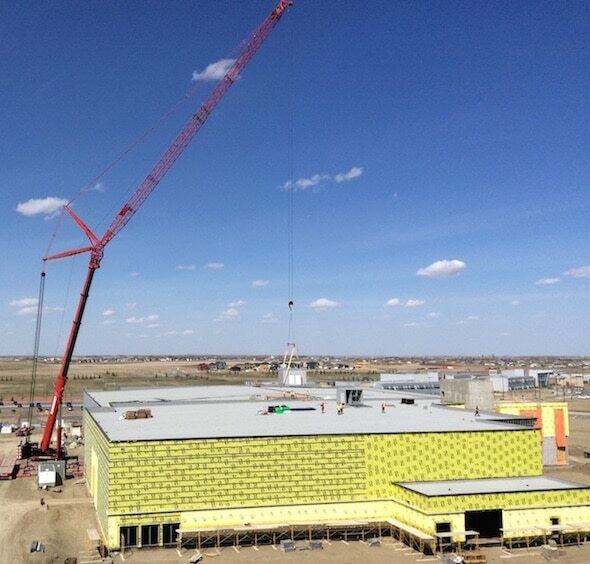 It will be the first major championship staged at Lethbridge’s new Crossings Ice Complex. The facility, scheduled to officially open in September 2016, will feature a 10-sheet curling rink with two hockey arenas. At the 2015 World Seniors and Mixed Doubles in Sochi, Russia, there were 30 countries in the mixed doubles championship, 25 countries contesting the senior men’s championship and 13 countries playing for the senior women’s title.